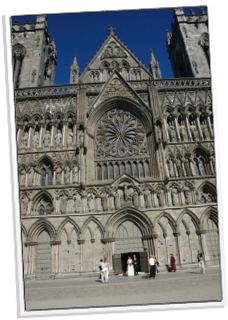 When the bells of Nidarosdomen rang the following Sunday morning, it was like a solemn notification of what was to come later that day. For the first time during the weekend, all of the approx 50 musicians are together for a run-through before the main concert. Inside the majestic cathedral, visiting tourists get a complimentary musical experience. 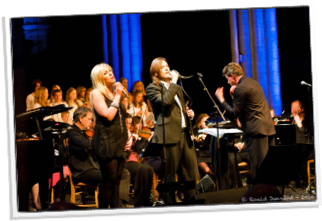 Several express how stunning they find the beautiful music, and buy the remaining tickets for the evening concert. And what a night it was! 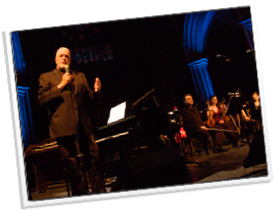 Jon Lord, again a master in creating a well-being between the audience and the musicians on the stage. You can see him being touched by the performances, and he delivers the goosebumps effect whenever he feels like it. Either it is from soft touches on the grand piano, the cello and flute passages he has so cleverly written, or his own growling signature treatment of the Hammond organ. The proud grandiose pillars of the cathedral embrace his music. 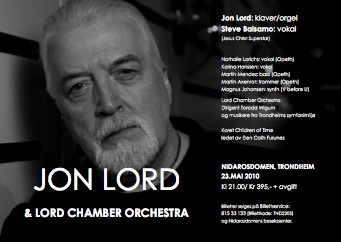 Jon Lord is at home. 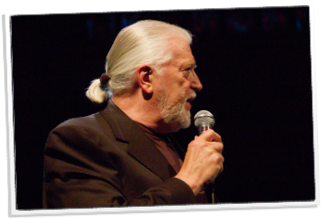 Jon Lord’s charismatic presence is shining from the stage, even though he is repeatedly focusing on his musicians and giving them the honour. Showing them that he is one of them, and reassuring them that they individually are playing an important part in the overall experience. The grand finale, The Sun Will Shine Again, is dedicated to the late Ronnie James Dio who passed away the week before. He was another friend, so sadly missed, but pictured within. Jon remembers his loving memory from the stage. 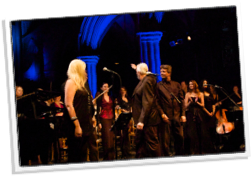 After the music ceases, the long lasting standing ovation takes over and ends with people hugging each other in the audience. – ‘Class’ is actually spelled J-o-n L-o-r-d, a euphoric woman states in my ear before leaving the holy chambers.